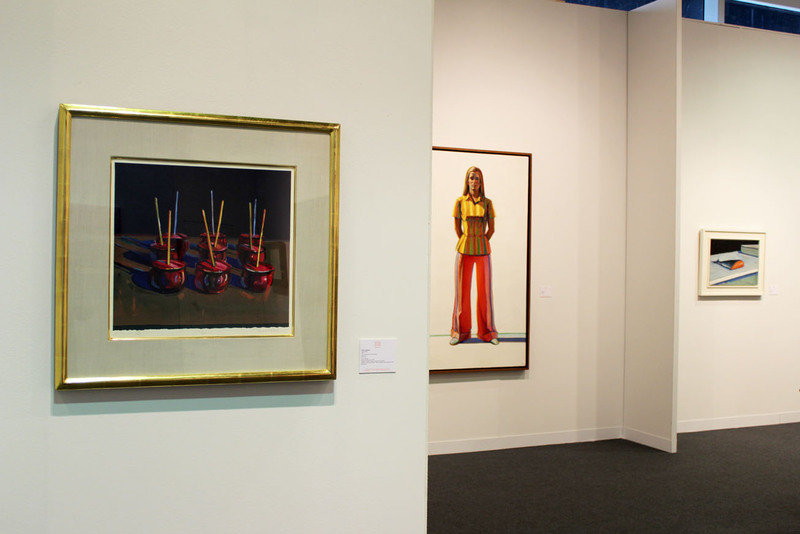 NEW YORK—The name Wayne Thiebaud has became synonymous with decadent confections, mostly cakes topped with swirls of pastel frosting created with the artist’s masterful strokes. He tends to revisit subjects to explore the reach of his practice, which is why the cakes continue to reappear. 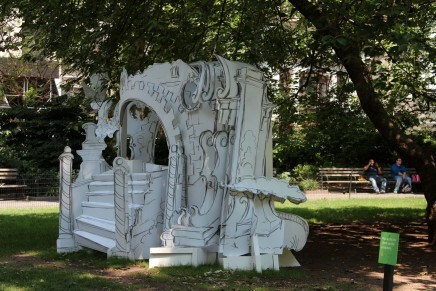 Over the years, however, he has tackled many other subjects, objects and scenes. 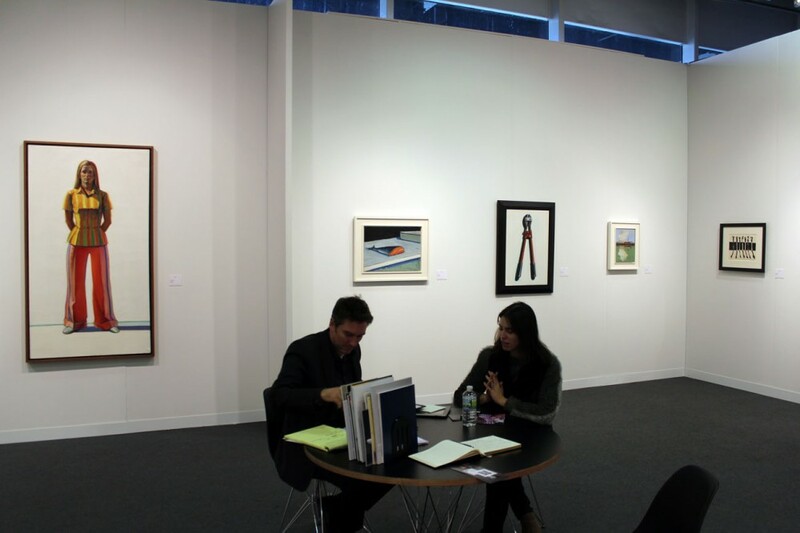 At this year’s Armory Modern, Allan Stone Projects dedicated its entire booth to the work of the California painter. It was a cake-less exhibition, showcasing his studied depictions of shoes, salmon, tools and many other images from the 1960s to ’90s. 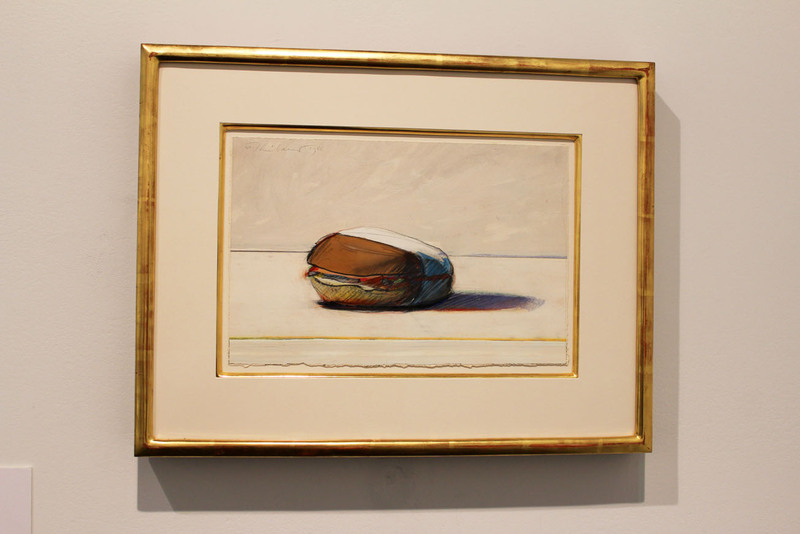 Smithsonian Magazine published an studied profile of Thiebaud, 93, a few years ago. 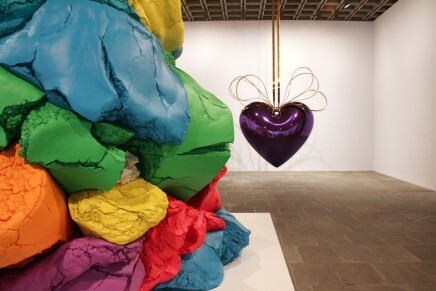 The article was reported during a retrospective of his work at the Crocker Art Museum in Sacramento. 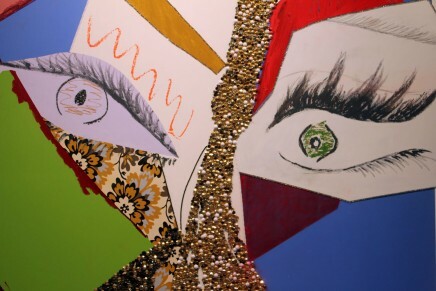 His attempts to explore and perfect how light is reflected in his work is on full view in the works exhibited by Allan Stone Projects featured below. 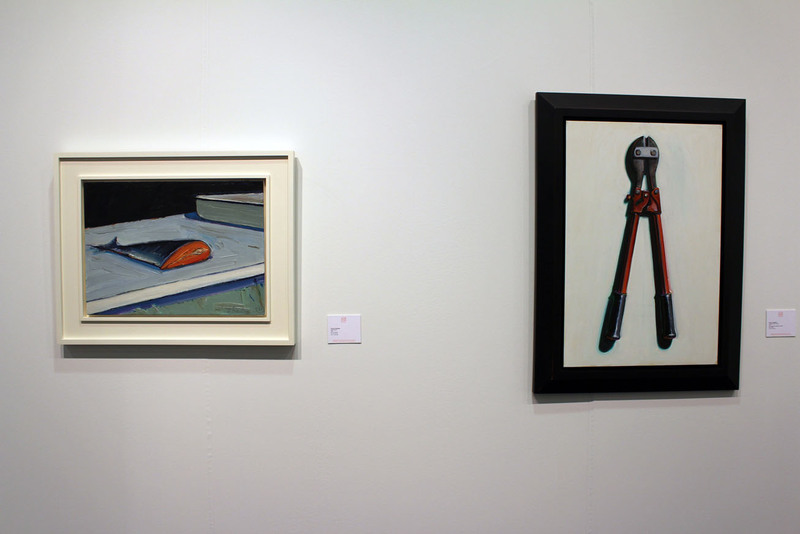 From left, “Half Salmon,” 1961 (oil on canvas) and “Untitled (bolt cutters),” 1972 (oil on paper mounted on canvas). 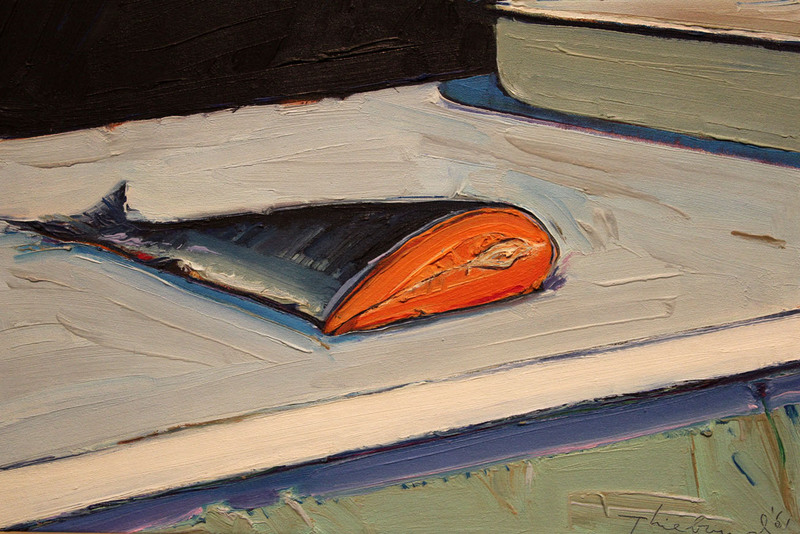 Detail of “Half Salmon,” 1961 (oil on canvas). 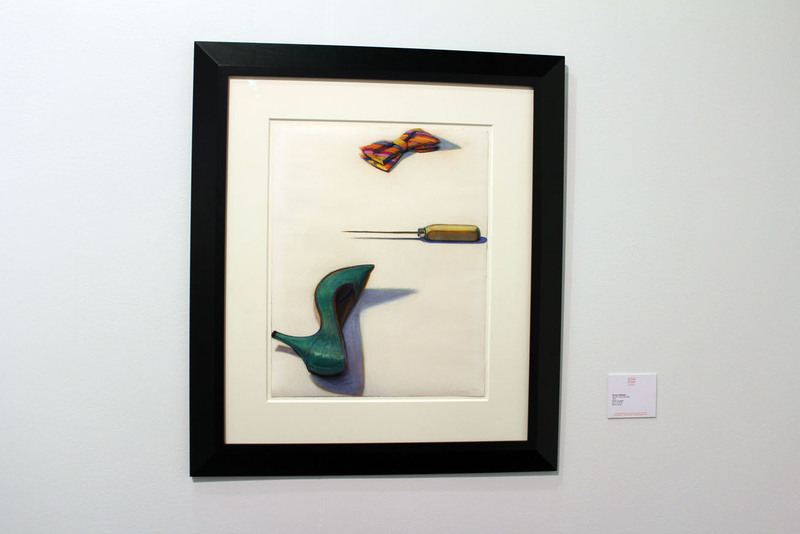 “Bow Tie, Pick and Shoe,” 1972 (pastel on paper). 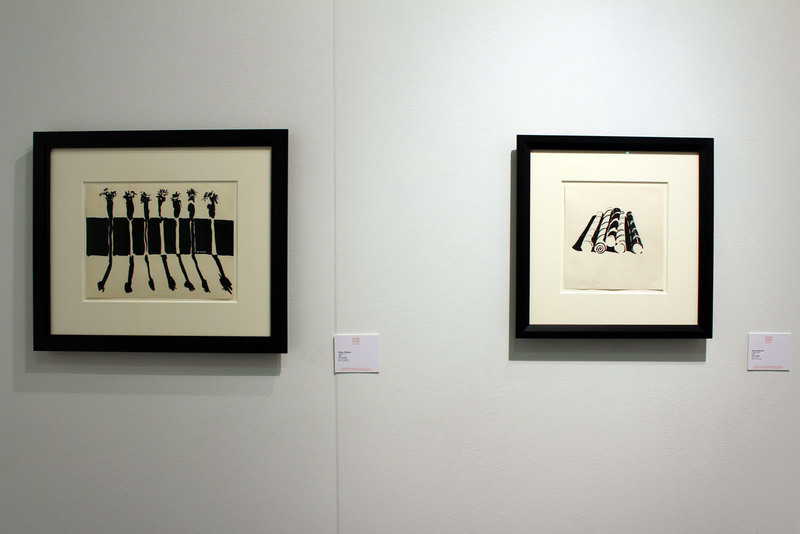 From left, “Palm Trees,” 1966 and “Candy Sticks,” 1964 (both ink on paper). “Barbecue Beef,” 1966 (media media on paper). 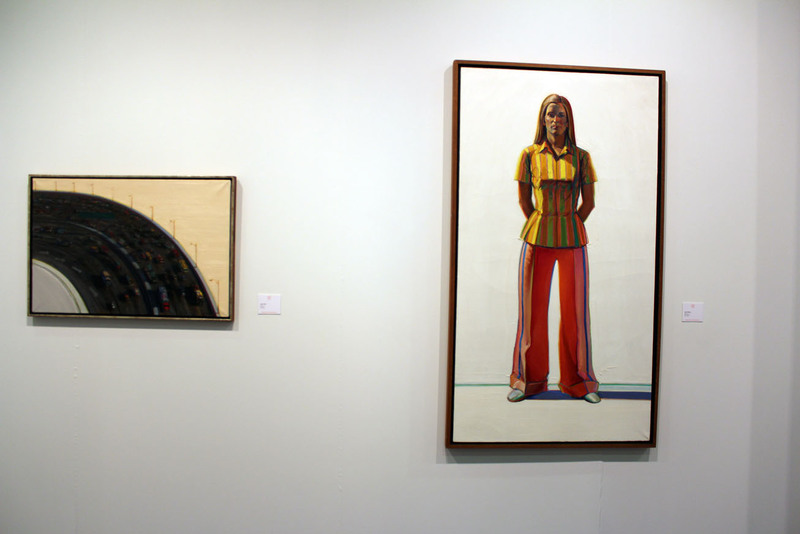 From left, “Freeway Curve,” 1995 and “Girl in Striped Blouse,” 1973-75 (both oil on canvas).